The upright growth holds cupped and deeply corrugated round leaves. 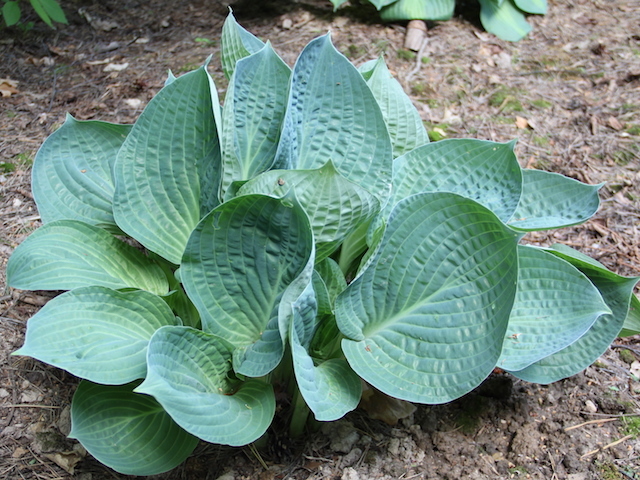 A seedling of Hosta 'Abiqua Drinking Gourd'. It flowers quite late in the season. Click the button below to add the Dixie Cups to your wish list.